The stunning Z2 Play is the flagship of the Motorola family, and it’s a rare thing in the mobile world – a modular smartphone. 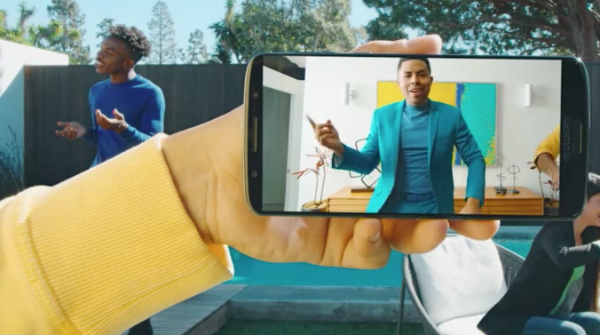 That means you can purchase an array of handy accessories (known as Moto Mods) that simply snap onto the back of your phone. These include a power pack, gamepad, smart speakers with Amazon Alexa built-in, and even a projector that can show images of up to 70-inches on any surface. 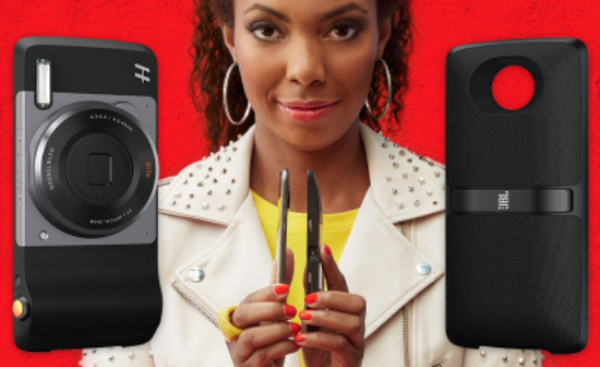 Check out the full Moto Mods range here. As for the Z2 Play itself, it’s an all-metal phone with a super-slim 6mm body (obviously adding Moto Mods will make it thicker). Colours are deep and vivid on the Full HD 5.5-inch AMOLED display, and the speedy 12MP camera takes sharp photos even when the light is low. Battery life is decent too – you’ll get a full day of heavy use before you need to recharge your Z2 Play. Great for: Premium design and versatile Moto Mods. 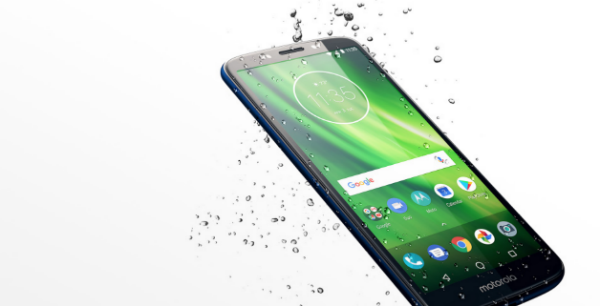 The G6 Plus sits at the top of Motorola’s new G6 range. It’s a big phone, with a 5.9-inch edge-to-edge HD+ display that lets you see and do more. It feels comfortable to hold despite the large size, and that’s all down to the curved edges and 3D glass design. Super-tough Corning Gorilla Glass is being used, and it offers great protection from scrapes and scratches. The dual-lens camera (12MP + 5MP) doesn’t just take quality photos - it’s got more than its share of brains, too. Point and shoot at a landmark, and you’ll get instant information on it. Clever, eh? Under the hood, the Moto G6 Plus has a blazing-fast Qualcomm Snapdragon 2.2 GHz octa-core processor. If you’re in the habit of firing up loads of apps at once, this gives you all power and speed you need. Great for: Plenty of power and an immersive display. You can buy the Motorola G6 Plus from Carphone Warehouse. At 5.6-inches the G6 Play’s display is slightly smaller than the G6 Plus’s. It’s still edge-to-edge though, so you’ll be able to fully immerse yourself in your favourite games, movies and YouTube videos. The 13MP rapid-focus camera makes taking great action shots easy, and you’ll always get the best pictures - the camera automatically takes multiple shots and recommends the one that looks best. Battery life is where the G6 Play really delivers. The massive 4,000mAh cell has been designed to last more than a full day. And when it’s time to recharge, the TurboPower™ charger will give you hours of power in a matter of minutes. Great for: Amazing battery life to keep you going for longer. You can buy the Motorola G6 Play from Carphone Warehouse. The Motorola X4 is fronted by a 5.2-inch Full HD display, covered by Corning Gorilla Glass. To give you even more protection, the X4 is IP68 certified, meaning it’s fully dust and water-resistant. For quick and secure access, there’s a fingerprint scanner under the display. The dual-lens rear camera (12MP + 8MP) is impressive, with a 120-degree wide-angle field of view that lets you get more in the frame. Round the front, the 16MP selfie camera has its own flash, so your group selfies in low-lit clubs will look pretty amazing. There’s also a live beautification mode, giving you the god-like ability to get rid of any imperfections before you share your self portrait on Instagram. Great for: All-round protection and superior selfies. You can buy the Motorola X4 from Carphone Warehouse. Let’s meet the baby of the family, the Motorola C. It’s a budget phone with a lot to offer. Its micro-textured rear cover not only looks great, but gives you a good grip too. The 5-inch display is bright and vivid, so you’ll be able to check out your favourite videos even when you’re out in the sun. The 5MP main camera is great for grabbing quick snaps, and there’s a 2MP selfie camera round the front. There’s also a removable 2,350mAh battery - so if you find yourself running low on power when you’re out an about, you can just swap it for a fresh one. Great for: Someone’s first smartphone, at a super-low price. You can buy the Motorola C from Carphone Warehouse. 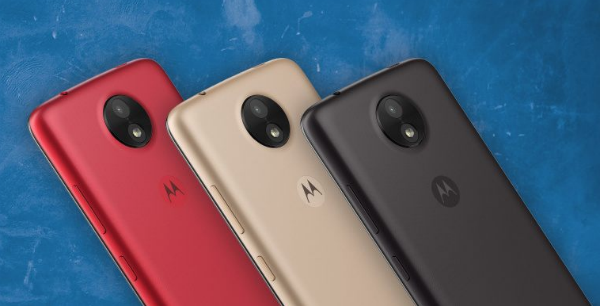 Are you a Motorola fan? If you’ve got one of these phones already, let us know what you think of it. If you’ve got a question, fire away and we’ll do our best to answer it.